Sometimes we do things we are not proud of, like making stupid puns with the name Brees. 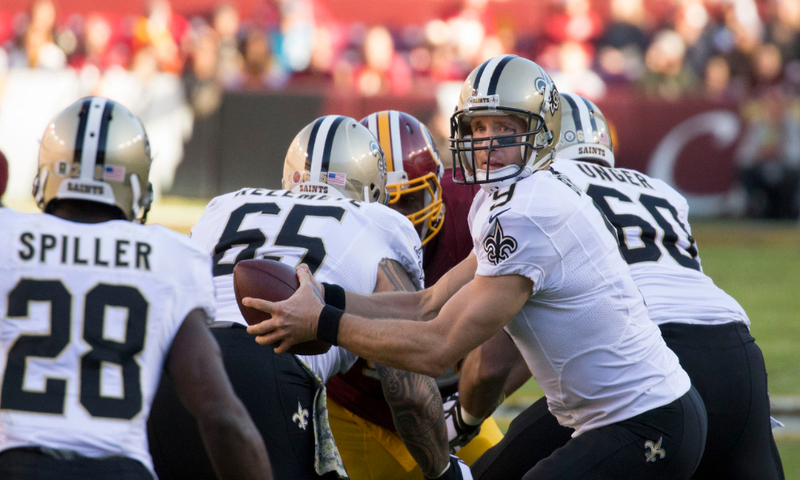 But since we started with Drew Brees, we’ll discuss him first in this recap. His re-signing was not much of a surprise compared to some of the other notes springing from this past week’s quarterback carousel. Drew Brees signed a $70 million, three-year deal with the New Orleans Saints, preventing him from becoming a free agent until the 2020 NFL year. We now have our answer for when Brees might be expecting to retire. The guaranteed money is relatively low, but Brees is likely to see all of that money and will likely be still throwing touchdowns beyond his age 40 season. Brees still has Michael Thomas and the strong backfield of Alvin Kamara and Mark Ingram at his disposal. I also expect New Orleans to acquire another target for Brees in the draft. Expect his upcoming season stats to look a lot like this past one. So lets Brees, um…breeze through some of the other quarterback transaction headlines from the week to this point and explore the Fantasy ramifications, staying with the Saints. Are you scared Brees is really past his prime? Well, if you were wondering who the back-up in New Orleans is this year, now you know. Let’s move on to something a little more exciting. We discussed him last week and sure enough, Kirk Cousins was the stone that started the ripple effect. His signing with the Vikings suddenly put three quarterbacks on the market. And those three quarterbacks garnered quite the interest of those who missed out on Cousins. I would rather have Stefon Diggs and Adam Thielen than the 30-year old pair of receivers Demaryius Thomas and Emmanuel Sanders. However, given that Keenum was the biggest loser when the Vikings signed Kirk Cousins, Denver is a pretty good consolation prize. I actually expect a bit of a regression from Keenum. He also might be looking over his shoulder as well as the Broncos are likely to still grab a quarterback in the upcoming draft. However, I expect to see both Thomas and Sanders rebound this year with Keenum under center. 25 Touchdowns and 3,500 passing yards is a reasonable expectation this year. But it’s actually the quarterback who started the year for the Vikings whose deal intrigued me more. After losing out in the Cousins sweepstakes, this was a very smart signing by the Cardinals. Dave Johnson will be back this coming season and they need a competent quarterback. Bradford might be a step down from Carson Palmer but he is a huge leap up from Drew Stanton and Blaine Gabbert. But this is a good “prove-it” contract for Bradford and he likely will. Yes, John Brown is now gone. However, Bradford signing might entice Larry Fitzgerald to stay. Yet even if Larry Fitzgerald retires, the Cardinals still have some talented receivers in J.J. Nelson, Jaron Brown, and second-year receiver Chad Williams (sleeper alert). Expect Bruce Arians to take advantage of Bradford’s wheelhouse of the 12-yard route. Please note that even if Bradford fails, the Cardinals were smart to sign Mike Glennon to a 2-year deal worth $8 million this week as well. Which of course brings us to the Jets last Fantasy worthy quarterback, Ryan Fitzpatrick. I know, super exciting. So let’s make this interactive. Do you think the 40-year old Ryan Fitzpatrick is making more per year or less than the average member of his fellow graduating Harvard class? I’d say more, but you let me slip that one right by you, didn’t you? Ryan Fitzpatrick is not 40 years old! It feels like it though, doesn’t it? Fitzpatrick is actually just 35 years old. His age, however, is irrelevant. Until Jameis Winston gets injured or does something really stupid, Fitzpatrick will only be worth adding for the Winston owner in your 2-QB league. Let’s go from grizzled veteran to a quarterback who has played all of 11 games. I know Tyrod Taylor is now in Cleveland, but I’m not so sure McCarron gets the starting gig. I expect a camp battle between him and Nathan Peterman. For those of you in traditional leagues, neither is worth drafting at this point. However, I do hope McCarron wins the starting gig. If he does, I expect we see a lot more crowd reaction shots of his wife Katherine Webb. To clarify, she’s in front and the one on the right. I’m a big fan of Katherine Webb, but I’m also a fan of Chase Daniel, in very different ways of course. I don’t believe Daniel has ever been given a fair shot to start in the NFL. Despite being a backup his entire career and often just playing out the string, all Daniel has done is complete nearly 66% of his passes. That’s a better career completion percentage than Ben Roethlisberger, Russell Wilson, or Aaron Rodgers. And he’s now behind Mitch Trubisky in Chicago, who had one of the lowest completion percentages of all starting quarterbacks last year despite only 330 attempts. Plus, let’s recall that John Fox did not exactly encourage Trubisky to throw downfield a lot either. So this under the radar signing could be huge for Daniel as Trubisky managed a measly 77.5 quarterback rating last year. Should Trubisky fall flat on his face, Daniel will easily exceed his contract and then some. Daniel can a good quarterback; maybe because he spent the first three years of his career backing up Drew Brees! Mark Strausberg remembers making Jerry Rice his first round selection as well as taking a flyer on a young pitcher named Doug Drabek. His Fantasy analysis has spanned multiple sports including football, baseball, basketball, and even golf. A FSWA finalist, his fantasy analysis has been featured in various outlets including but not limited to SI.com, USA Today national magazines, Yahoo! and RotoExperts. 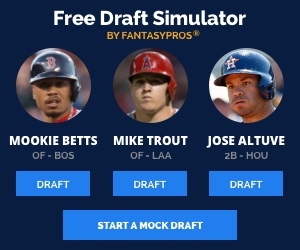 Voted “Best Fantasy Draft Tool”! 2018 Week 1 Start_Sit: Start Your Studs, But Who Else? SCFE Staff Sleepers, Busts, Breakouts and Top Scorers: Hold Us Accountable! Subscribe to the SCFE Newsletter for Free! Subscribe to our "So-Called" Fantasy Newsletter!